Since it opened in 1907, The Langham Huntington has become one of Southern California’s most distinguished and prestigious hotels, nestled into the heart of Pasadena. For couples wanting elegance and refined class for their wedding day celebrations, The Langham Huntington is hard to beat. Hand-painted ceilings, distinguished artworks and Chinese porcelain decorate the hotel’s hallways, while glass walls look out towards its tranquil courtyard and lush landscaped gardens host swaying palms, blooming flower beds and the iconic old Picture Bridge. With outstanding accommodations, beautiful ceremony spaces and grand reception ballrooms, everything can happen in the one location when you decide to have your wedding at The Langham Huntington. Couples can spend the weekend in one of the luxurious suites, with elegant furnishings and plenty of natural light providing the perfect setting for candid shots and pre-wedding ceremony portraits. Large wedding ceremonies can be held in The Langham Huntington’s Horseshoe Garden, backed by the impressive stone facade and balustrades of the hotel’s former entrance. Twin staircases descend to an expansive lawn, with the capacity to host a few hundred guests. Or you can opt for the atmospheric Japanese Garden, with its waterfall pond and quaint Picture Bridge giving this intimate setting a vintage ambiance. While your guests are enjoying cocktail hour in the glass-walled courtyard, you and your loved one can take advantage of the endless couple portrait features throughout The Langham Huntington’s gardens and interior. Then enter your lavish reception at one of the hotel’s numerous ballrooms, all of which have been exquisitely decorated with the luxurious opulence for which the hotel is renowned. 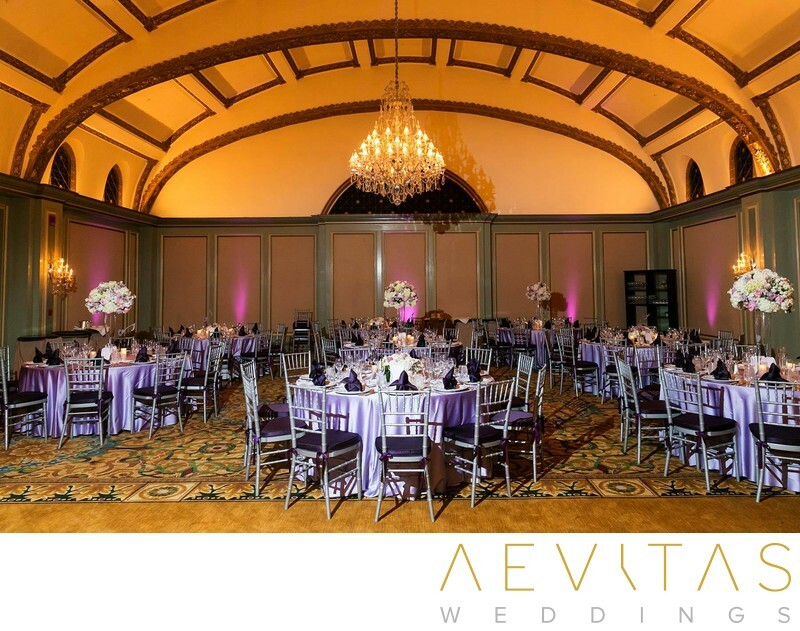 Select from the historic Georgian Ballroom, with its stained-glass windows and spectacular crystal chandeliers, or opt for the Viennese Ballroom with its gold-edged vaulted ceiling. If you prefer an outdoor reception on a warm summer night, then you can select the open-air Viennese Terrace, or for an undeniably lavish affair with up to 750 guests, you can’t go past the immense Huntington Ballroom. All catering and beverages are provided by the highly experienced team at The Langham Huntington, with refined service all part of the package. At the end of an unforgettable evening, your guests can retire to one of the prestigious rooms and indulge in a long weekend of pampering at the award-winning Chuan Spa, all set within the exclusive haven that is The Langham Huntington.